If you have been reading my recent posts you will recall that my daughter was home last weekend to enjoy the fall leaves and to travel to Columbus, Oh to tailgate for the OSU football game. 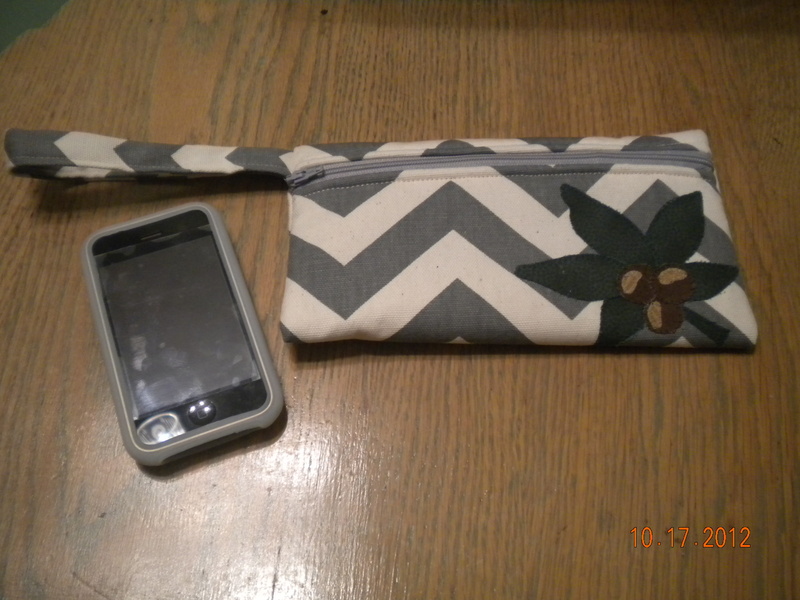 She wanted a clutch to hold her cell phone and debit cards so she wouldn’t have to drag along a purse. I posted the clutch. When I purchased the fabric I bought two yards when in reality I only needed a 9″ x 10″ piece. I commented to Ashley, that I could make a lot of clutches with the left over fabric and she said she thought it would make an awesome skirt. The fabric was duck, so it was heavy and I had my doubts. Made from Butterick pattern B5613 with adjustments! 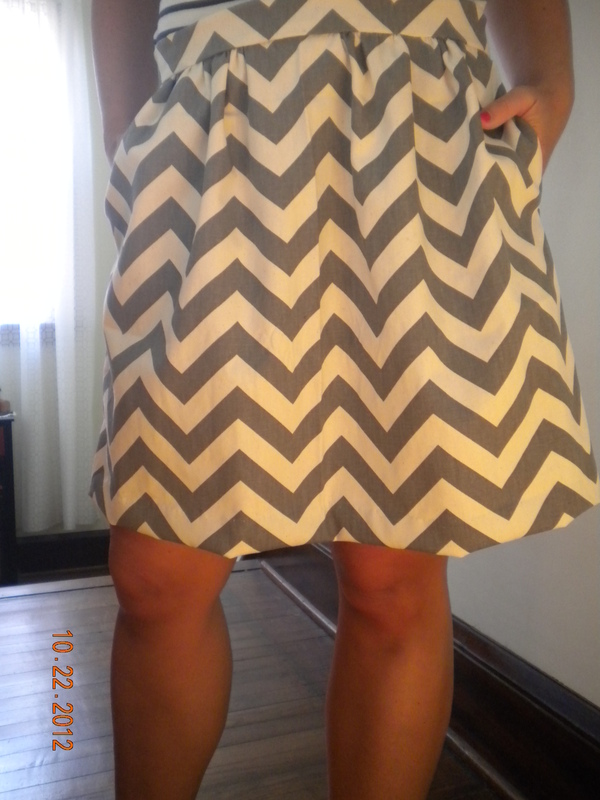 Here is a picture of the extra material I cut out of the skirt…Wow! Do you have a pattern that you used for the clutch/wristlet? it’s super cute, was going to make them up for some bridesmaids to match the skirt above they are wearing. Thank you so much for posting your results of this Butterick pattern it’s beautiful!